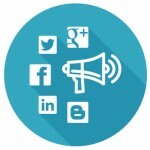 It’s all about how to utilize social networks as a marketing tool. This forum contains 88 topics and 13 reply, and was last updated by Phillip 1 year, 7 months ago. Learn how to use Pinterest, as well as how to leverage it to grow your business and expand your marketing reach. How do you use Tumblr for your business? How to take advantages from the biggest video sharing website.